Just another adventure for Calvin and Hobbes. Just another adventure for Calvin and Hobbes. 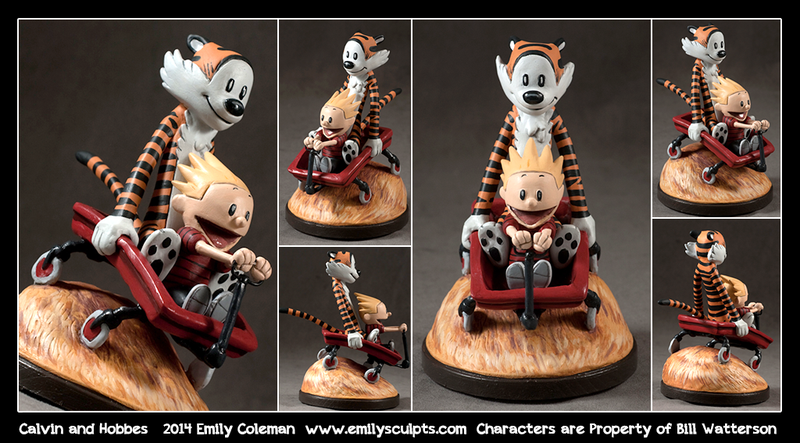 This eight-inch-tall figure was sculpted and hand-painted by Emily Coleman of emilySculpts.com. The piece took Coleman 25 hours to complete, who noted that "sculpting comic strip characters is very very hard." Head over to her DeviantArt gallery for more sculpty goodness.